Jailed And Mentally Ill: 'Insane' Investigates Treatment Behind Bars : Shots - Health News Alisa Roth's new book suggests U.S. jails and prisons have become warehouses for the mentally ill. They often get sicker in these facilities, Roth says, because they don't get appropriate treatment. 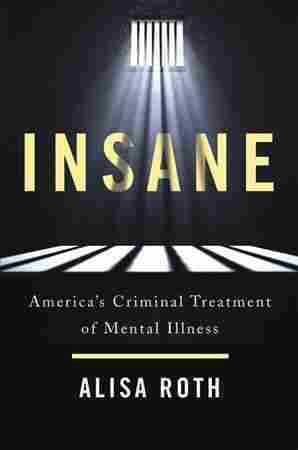 By some estimates, nearly half of the people confined in U.S. jails and prisons have a mental illness, notes Alisa Roth, author of Insane: America's Criminal Treatment of Mental Illness. "It's unpleasant, it's loud, it's claustrophobic," she tells NPR's All Things Considered. "You see people who are desperately sick. I mean, desperately sick. One time when I was [at the Los Angeles County jail], corrections officers came out with a man who had been strapped into a wheelchair and was bleeding from his arm because he had scratched out a piece of his own flesh." Another day she accompanied officers as they tried to get inmates to come out for recreation time or for a shower. "And they opened the little door in the cell where you hand food trays through, and there was this almost overpowering smell of feces," Roth says, "because this man had smeared the walls of his cell." By some counts, Roth says, as many as half of all inmates suffer from some sort of psychiatric disorder; jails in New York, Los Angeles and Chicago are now the three largest institutions providing psychiatric care in the U.S. Some correctional institutions refused Roth's requests when she was researching her book to see their facilities. Others, including L.A. County's jail, allowed her inside — to see firsthand what happens there. Another thing that struck me there was this sense of people cycling through. We talk about the civilian mental health care system and the criminal justice system as two separate entities; [but] really, in a lot of cases, the patients in both of them are going back and forth between the two. One day when I was there, there was a man who acted up in court and was sent back to the jail. He was strapped into a restraint chair for transport from the court to the jail, and I went with the officers to retrieve him and bring him back to a cell. And they kept talking to him because they knew him. He had been there a bunch of times before, and they kept saying, "Hey, what happened? What's going on?" And the man didn't say anything until we were getting off the elevator, and then he started asking if he could be sent back to his old cell. It is astonishing to me how difficult it can be to access mental health care in this country. In Oklahoma, I visited community clinics – outpatient clinics in the community. What happens in Oklahoma is that if you come in with symptoms of mental illness, or somebody brings you in for symptoms of mental illness, you're given a score from one to four. And basically, if you are not actively suicidal or actively psychotic, you're going to be diverted to some other form of treatment. You're not going to get in to see a psychiatrist — or you're not going to get in to see a psychiatrist for months, and months and months. Even figuring out where to go for treatment can be difficult. At one point, I was following somebody here in New York who had been in and out of the mental health care system, and in and out of jail and prison. And I wanted to see how many people — how many psychiatrists — in New York City alone accept Medicaid and how many of those would be accepting new patients at any given time. 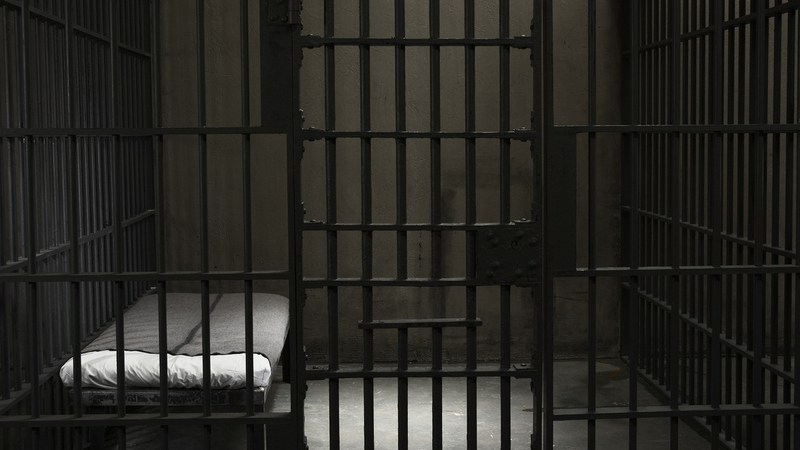 What Is The Role Of Jails In Treating The Mentally Ill? I spent probably two days making phone calls. I should add that I made those calls without worrying about losing time from my job; I wasn't worried about running out of money on my cellphone; I wasn't worried about where I was going to sleep that night; I wasn't worried about getting my medication; I wasn't worried about where my next meal was coming from. And I finally gave up – I went to one of the public hospitals here in the city. I went to the Medicaid office; I explained to the very nice clerk what I wanted to do. She handed me a sheet of paper. She said, "Well, it really depends which Medicaid plan you're on." And there were, I forget, five or six different options. She said "You need to go online and look up the psychiatrist, and then you need to call the office, and see if they're accepting patients." It's just, it's so – who's going to do that? Who has the time or the wherewithal or even just the brainpower to do that? One of the heartening things I've found in all this very upsetting reporting is that there is a consensus that what we're doing is wrong. Whether we're talking about the people who are locked up and their families, or the corrections officers, or the prosecutors, the defense attorneys, the judges, the doctors — you name it. They're in agreement that what we're doing is not working, that it's counterproductive, that we need to change. We need to figure out how to come to a consensus about what that change looks like, but at least we're all on the same page – that this is not the way it should be and that nobody is benefiting from this situation. Noah Caldwell and Renita Jablonski produced and edited the audio of this story. Sydnee Monday adapted it for the Web.